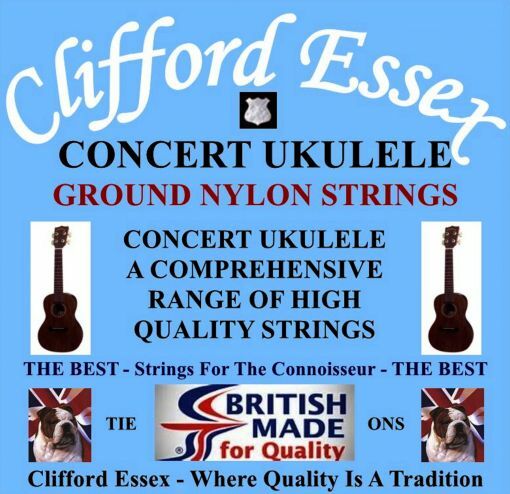 We offer medium, light and heavy gauge concert ukulele sets and a set with a low 4th. CONCERT UKULELE. LIGHT GAUGE. GROUND NYLON TIE-ON. NATURAL PURE GUT CONCERT UKULELE STRINGS. MEDIUM GAUGE WITH A LOW 4th (G) SILVER WOUND.